The U.S. Department of Homeland Security (DHS) has appropriated funding within Federal Fiscal Year 2019 to support the NSGP for nonprofit organizations. The grant program allows for the purchase of equipment and for planning and training activities geared toward enhancing security where it is most needed. There are two federal NSGP programs: the Newark/Jersey City Urban Areas Security Initiative (UASI) NSGP titled the NSGP-UA and the State NSGP program titled NSGP-S.
NSGP-UA: This program is limited to nonprofit organizations located within designated areas of New Jersey (Bergen, Essex, Hudson, Hunterdon, Middlesex, Monmouth, Morris, Ocean, Passaic, Somerset, Sussex and Union counties). NSGP-S: This program is limited to nonprofit organizations located within designated areas of New Jersey (Atlantic, Burlington, Camden, Cape May, Cumberland, Gloucester, Mercer, Salem and Warren counties). DHS will give 10 bonus points to applicants who have not received NSGP funding in the past. DHS has notified each state of these federal NSGP programs and is encouraging full participation. Please be mindful of the required Vulnerability Risk Assessment (VRA) of the facility where you seek to enhance security measures. This can be completed by your local police department or county prosecutor’s office. You may also visit NJOHSP’s website and utilize the Facility Self-Assessment Tool. 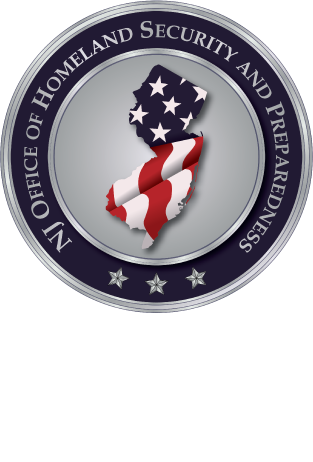 Please visit www.njhomelandsecurity.gov/grantsfor more information about this and other grant opportunities as they become available.